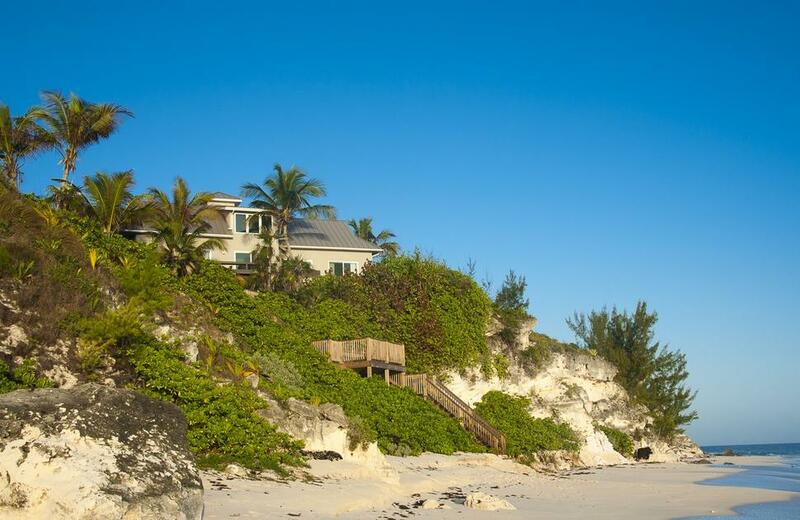 Our selection for a retreat location for early 2019 is a breath-taking private property in North Palmetto Point on the east coast of Eleuthera in the Bahamas. 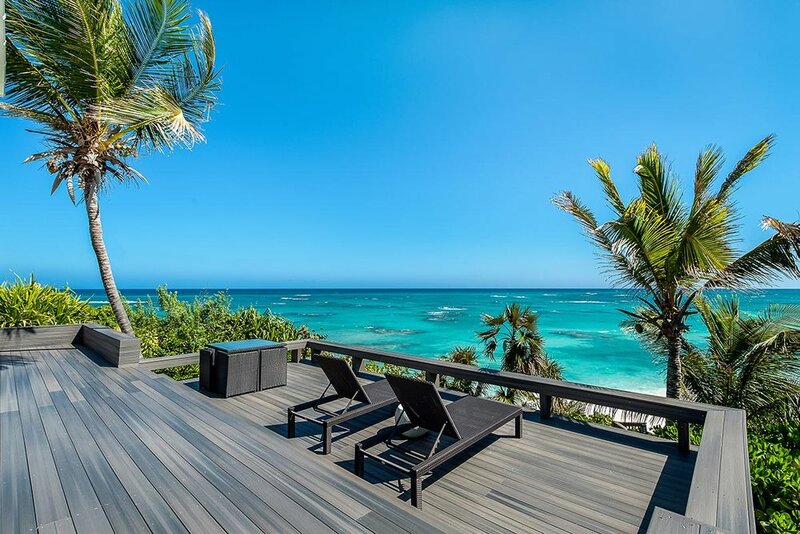 Selected to provide the privacy, serenity and overall atmosphere needed to create the finest possible opportunity for your program objectives, the villa also offers the environment for your body, mind and spirit to relax, refresh and recover in a luxury tropical vacation. * Note : Travel dates for retreats are recommended to be prior day arrival, and following day departure. North Palmetto Point is easily reached by the three Eleuthera airports, Governor’s Harbour Airport (GHB) is approx 15 miles, Rock Sound International Airport (RSD) is 23 miles and North Eleuthera Airport (ELH) is 45 miles distant. Please note that taxi fares in Eleuthera are expensive and therefore flights to Governers Harbour Airport are highly recommended. The property has ample parking and offers wifi, a pool, decks, loungers, balconies & terraces, a large garden with paths, hammocks and meditation spaces. It also offers an outdoor grill, a private beach with palapa & beach chairs, kayaks & boogie boards, a tennis court, shuffleboard, foosball & ping-pong. We also have at our disposal a local concierge who can arrange a number of local sightseeing activities if you desire to venture off property. 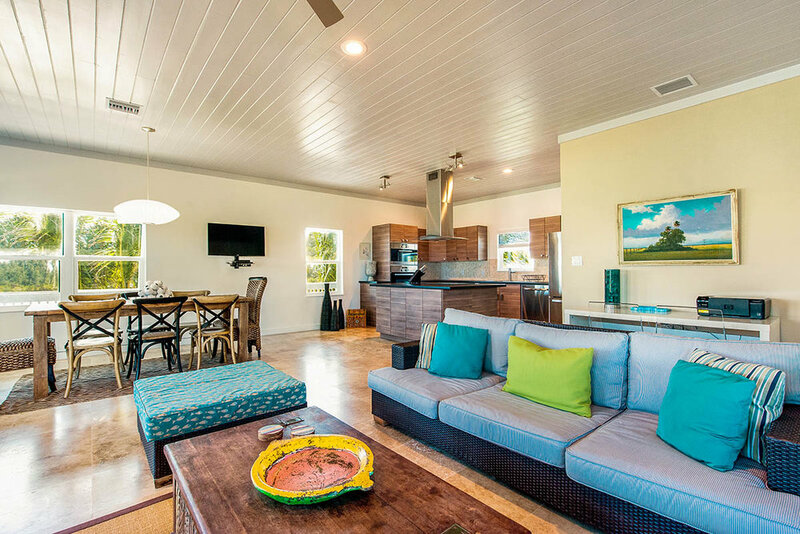 The property has two buildings, each light, open and airy with a distinct Bahamian flair. There are numerous individual and group spaces for work, reflection, discussion, breakout, or just relaxation and reading. While the property is cooled by the tradewinds a/c is also provided in all bedrooms. The villa additionally has a laundry room for guest use, and daily housekeeping service is provided. 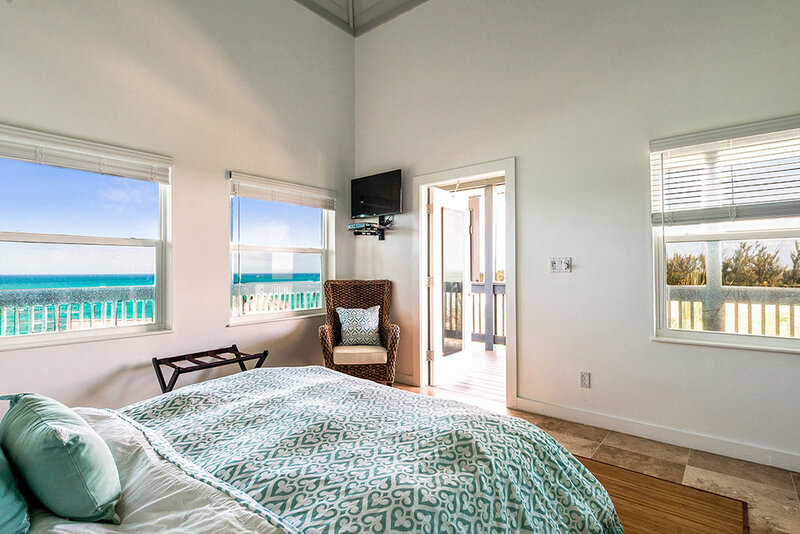 Ocean King Suite : Upper level with a king size bed with ensuite bathroom with stand-alone shower, vaulted ceilings, television, balcony and views of the ocean. Ocean Queen Suite : Upper level with a queen size bed, ensuite bathroom with stand-alone shower, vaulted ceilings, television, balcony, and views of the ocean. Garden King Suite : Lower level with king size bed, ensuite bathroom, television, covered porch and views of the garden. We will be offering continental breakfast, a light group lunch and an early family style dinner. With this in mind, we will be contacting you for a discussion on allergies and preferences. Additionally, non alcoholic drinks will be provided and available throughout the day as well as snacks. If you would like any further details regarding the villa, the rooms, or accommodation options, feel free to contact us.